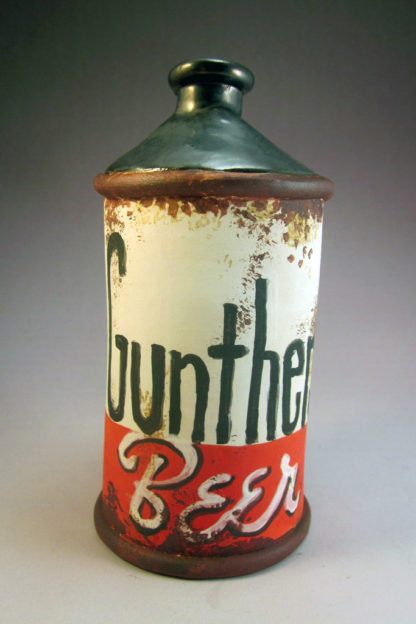 View cart “Generic Conetop Beer Can” has been added to your cart. 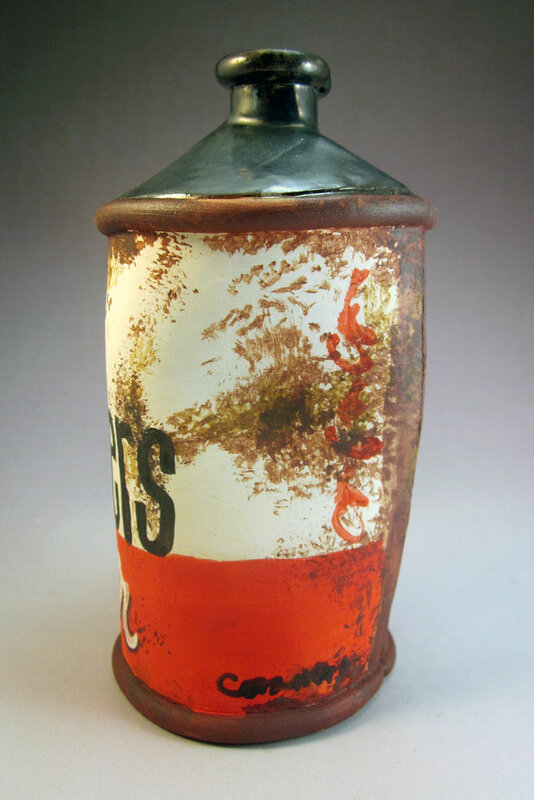 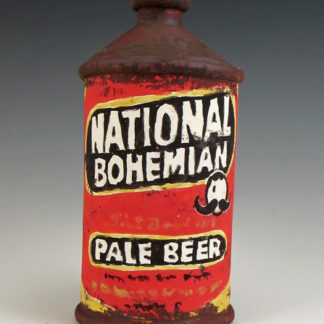 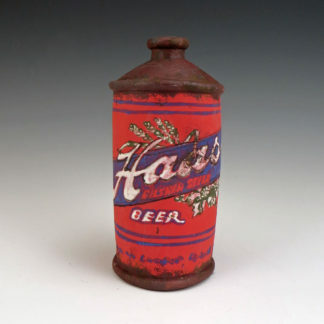 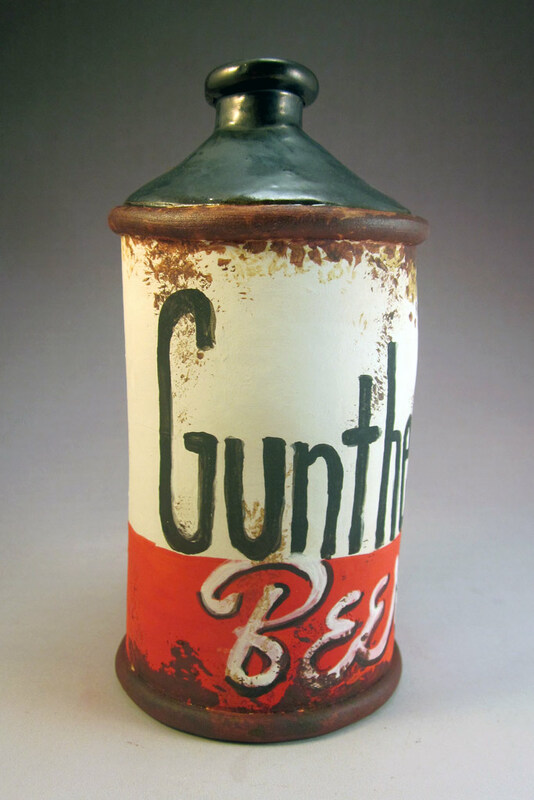 Completely hand-fashioned and decorated, this ceramic conetop features Gunther’s Beer brewed in Baltimore, MD. 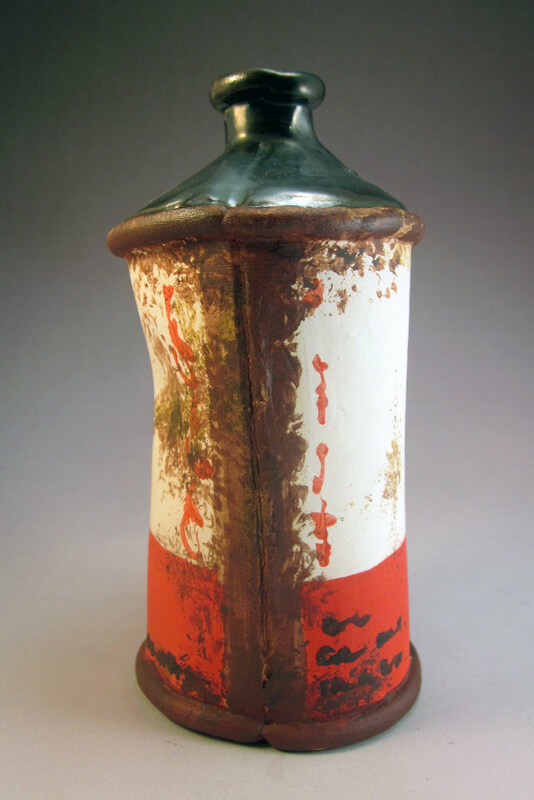 The piece is hand-rendered in black, white and red, with random splashes of rust to complete the “vintage collectible” effect. 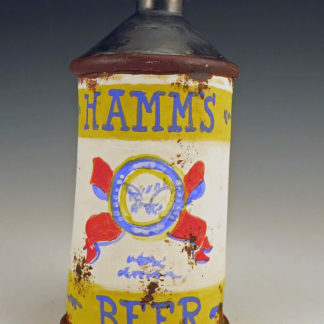 It’s a great example of sleek Moderne Art Deco lettering seen all over in the 1930s. 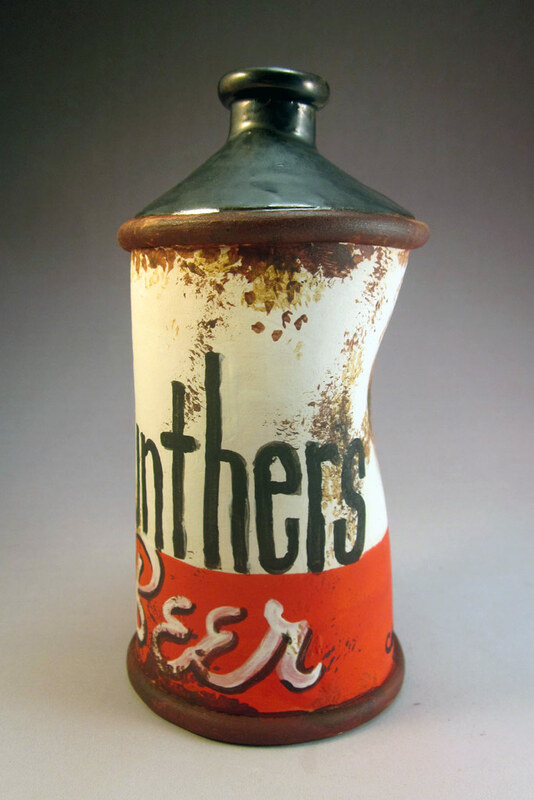 See all the photos – and check out that dent! 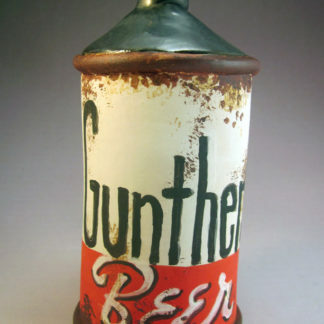 – and line this one up with a few more on a bar shelf near you.